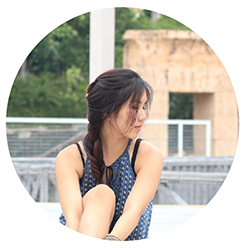 Regine Sum- Singapore Lifestyle Blog: Hello Holidays! After struggling for 6 weeks, holiday is finally arriving! 6 weeks past really fast. I felt like I just had my holiday weeks ago? Perhaps it's because I've been keeping myself really busy to keep my mind off things. Strength is when you have so much to cry for, but you chose to smile instead. Being sad doesn't help in anything. Sometimes faking a smile isn't bad, it makes you feel good and it is proven to improve mood! No one likes to hang out with negative people. What for torture yourself by being sad when you can actually just smile for all the good things in your life instead of frowning because of a few bad ones. It is actually a painful and awful feeling to be sad so be positive, and love yourself! Recently the Bohemian trend is taking over stores like Forever 21, H&M, Zara, Mango, Aeropostale. They are selling more clothes with fringes, knitted wear and chain headbands. I really love the boho fashion even before seeing celebrities dressed for Coachella but I am not bold enough to attempt to pull off an extreme boho look unless 1. for theme parties 2. friends are going to dress in boho too when they hang out with me 3. I am overseas. However if you love bohemian fashion like me, you can visit Zalora to check out the latest bohemian trend!